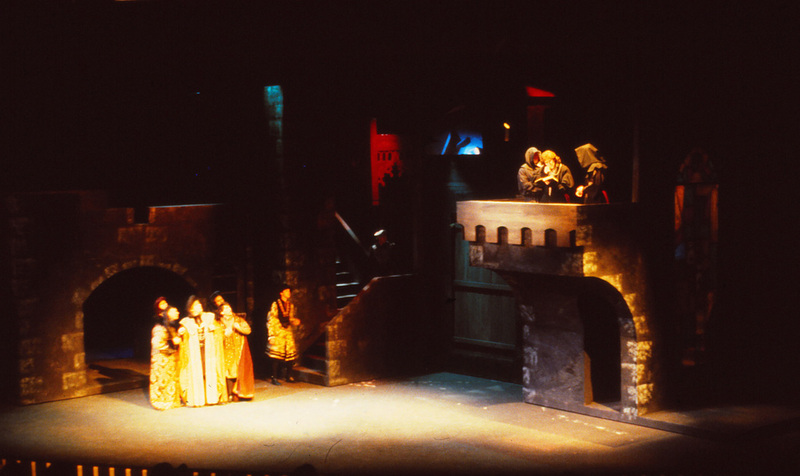 For RICHARD III, the director, Barta Heiner, wanted to show the various sides of the characters. 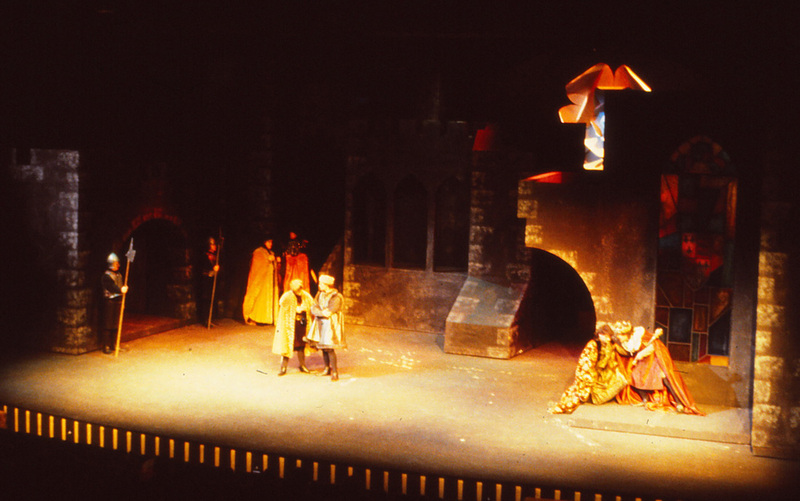 The set had three jack knife units that rotated into various configurations. 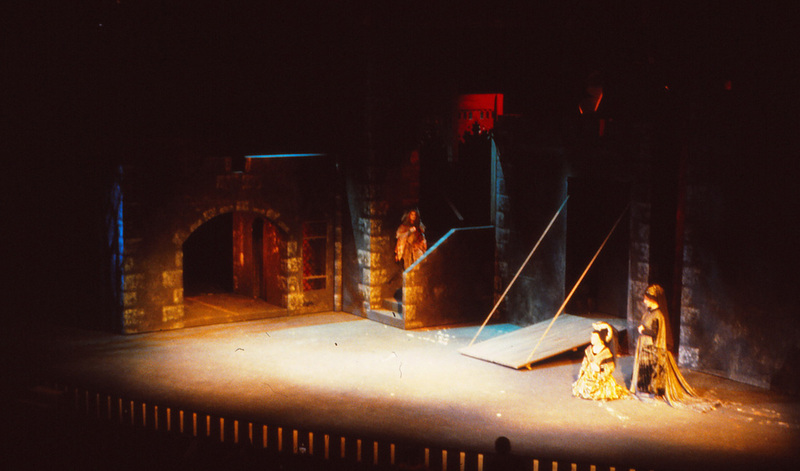 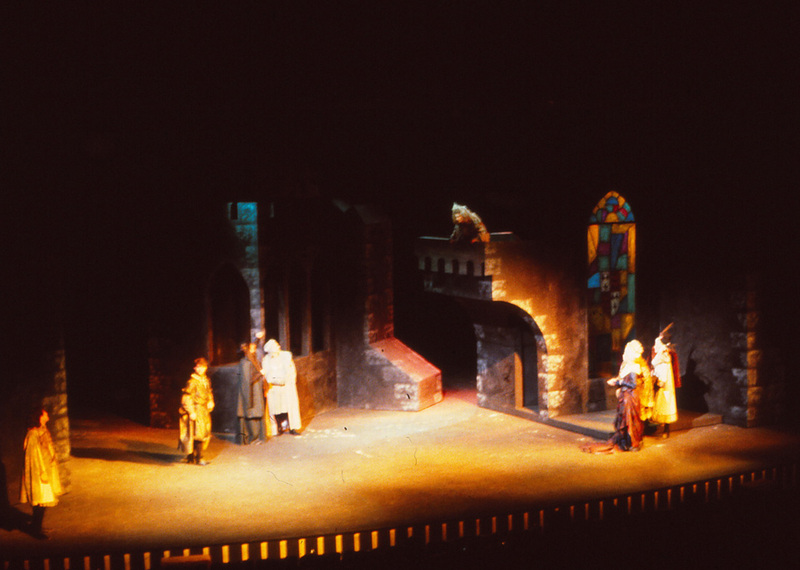 The lighting was then designed at high angles from all angles to reveal all sides of the characters, working with the moving set pieces during scene changes. 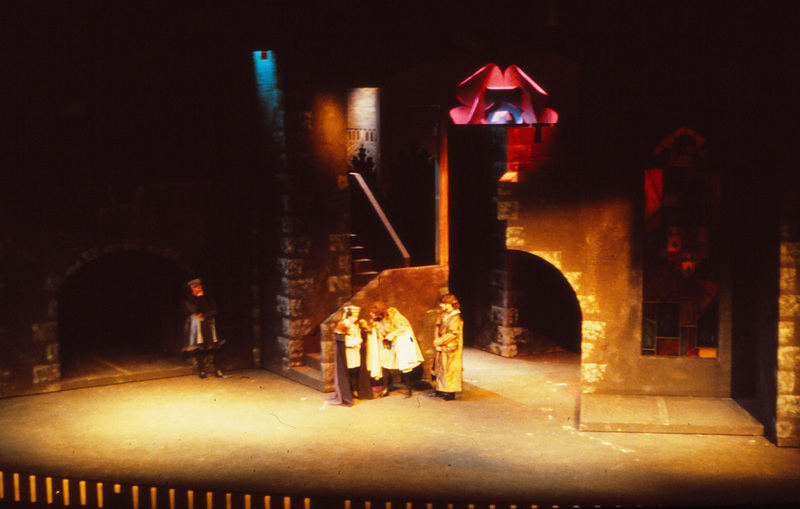 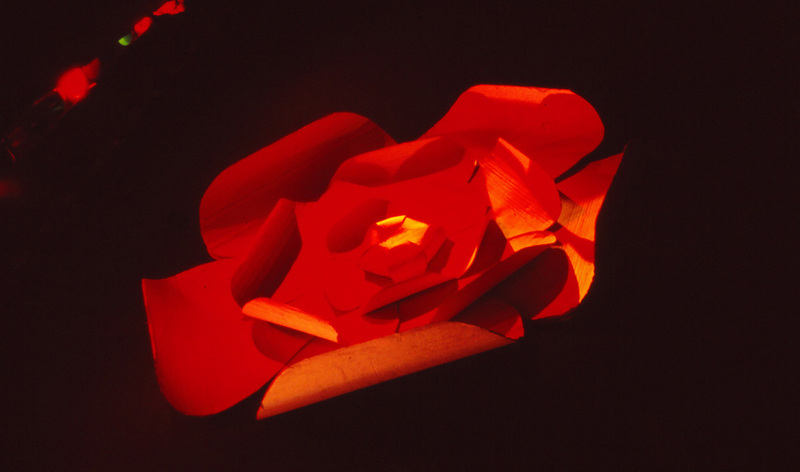 The entire production was dominated by a large Order of the Rose emblem as the backdrop.